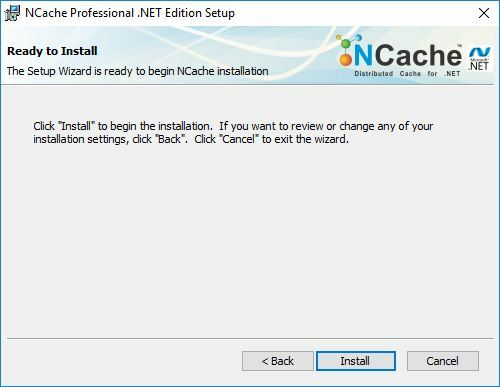 NCache can also be installed via an interactive Windows installer. Do the following. Search for Command Prompt on Windows Start menu. Right click on the search result “Command Prompt”, and select Run as Administrator. The reason for this is that NCache must be installed from an “admin” user. 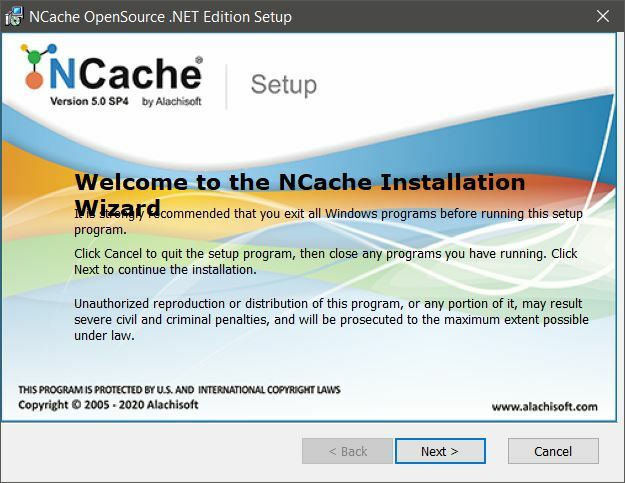 Install NCache: Run “msiexec.exe” utility from Command Prompt to install NCache in an interactive mode as following. The next screen asks you to accept the license agreement. 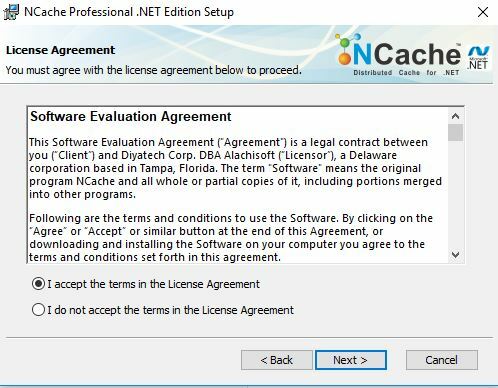 By clicking I accept the terms in the License Agreement, you are making a legal commitment to abide by the Alachisoft Software Evaluation Agreement for NCache. You cannot proceed without accepting the license agreement. 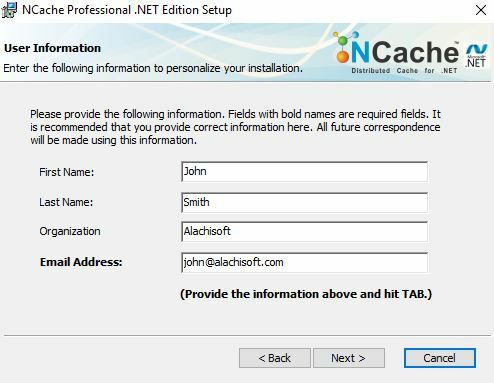 The Select NCache Installation Type appears. 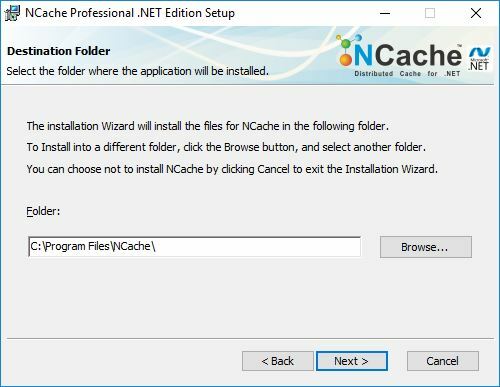 NCache 4.9 SP1 onwards, installing Cache Server requires .NET Framework >= 4.7.2. This requirement does not apply to Remote Client installation. 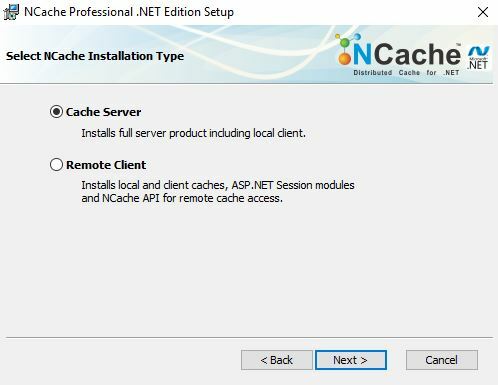 Cache Server installs the full server product along with the local client. Remote Client installs remote client libraries including ASP.NET session modules. 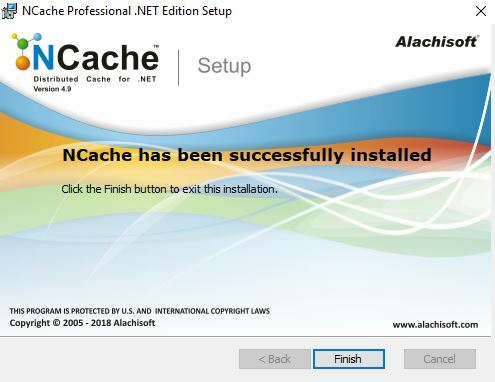 It also installs an OutProc local cache. Evaluation Information dialog appears which asks for the installation key. This is the key which you have received from Alachisoft when you registered to download NCache Professional Edition. If you do not have the Install Key, then click Get Evaluation Key. 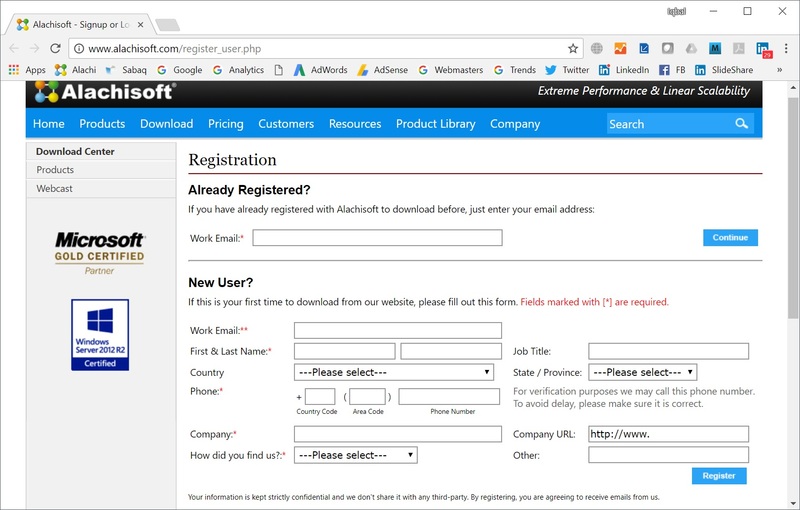 Registration page from Alachisoft website is displayed. Enter all the required information and press Register or Login and an Install Key is emailed to you. Then, enter that Install Key in the above dialog. User Information dialog appears which asks for your information. Enter all required information and then press Next. 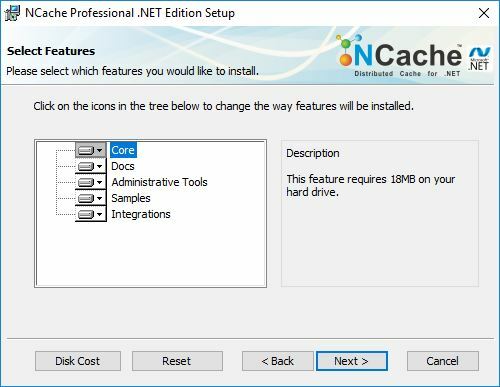 The next dialog confirms the location where NCache should be installed. Keep the defaults or change if you must. The next dialog presents all the features and allows you to unselect any feature. We recommend that you keep all the features and press Next. Then press Install on the next dialog. After the installation is completed successfully, the following dialog is displayed. If you don’t see this dialog then it means the installation did not complete successfully. Click Finish to exit the installation setup.